There’s nothing like the feeling of picking up a new book, thinking you’ll read a chapter or two, and suddenly realizing you’ve been sucked into a time warp because five hours have gone by and you still haven’t moved, eaten, or even taken a shower, and although your stomach is grumbling, you still can’t get up until you’ve read just one more chapter—or maybe two or three, because your legs are now asleep and you should really wait until the feeling has returned before you start acting functional again, don’t you think? 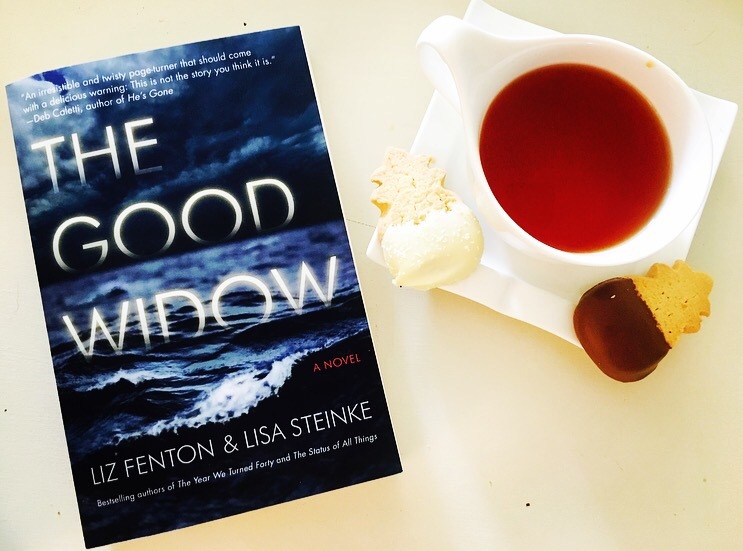 Yes, this was the story of my life as I devoured The Good Widow by Liz Fenton and Lisa Steinke, a thrilling, suspenseful, and totally captivating novel that needs a top slot on your summer reading list. The Good Widow introduces us to Jacqueline “Jacks” Morales, an elementary school teacher leading a predictable, ordinary life until the day two cops arrive at her door to tell her that her husband—who she thought was on a business trip in Kansas—has been killed in a car accident in Hawaii. Not only that, but he was with another woman, a woman who left behind a fiancé of her own. Grieving, shocked, and in desperate need of answers, Jacks and the wronged fiancé, Nick, set off to Maui to retrace their partners’ final days in what was meant to be paradise. As she searches for closure, acceptance, and the truth behind her husband’s double life, Jacks discovers that things are not always as they seem and that there may be even more secrets lurking behind the twists and turns on the road to Hana. Liz Fenton and Lisa Steinke do an amazing job of balancing moments of edge-of-your-seat, tight suspense with emotionally complex flashbacks, and the result is a page-turning gem you won’t be able to put down. From the earliest pages, The Good Widow captured me, and it left me breathless until the very last sentence. What engaged me most was that I cared so deeply about Jacks—her character, her thought process, her captivating voice—and for her, I wanted to get to the root of what was really going on. Every other character in the book, from her husband, James, to Dylan, the woman he was with in Hawaii, was so more much than what they seemed at the outset, with more and more layers to peel back in every chapter. Even the chilling paradise of Maui was brought to life with such rich detail that I felt transported there, wrapped up in the darkly thrilling, sun-laden journey that held the answers to Jacks’ quest, and possibly more. If you’re looking for that next great read that will have you in its clutches from the get-go, clear your schedule and pick up The Good Widow. It’s without a doubt the kind of book you’ll be passing around and discussing with all of your reader friends, because this is one exhilarating ride you can’t keep to yourself. The Good Widow is out today! For more on Liz Fenton and Lisa Steinke, the fabulous women behind this fabulous read, visit www.lizandlisa.com and connect with them on Facebook, Twitter, and Instagram!